Disclosure: My family and I were given tickets to Deep River in exchange for my hosting a blog giveaway and writing a review. 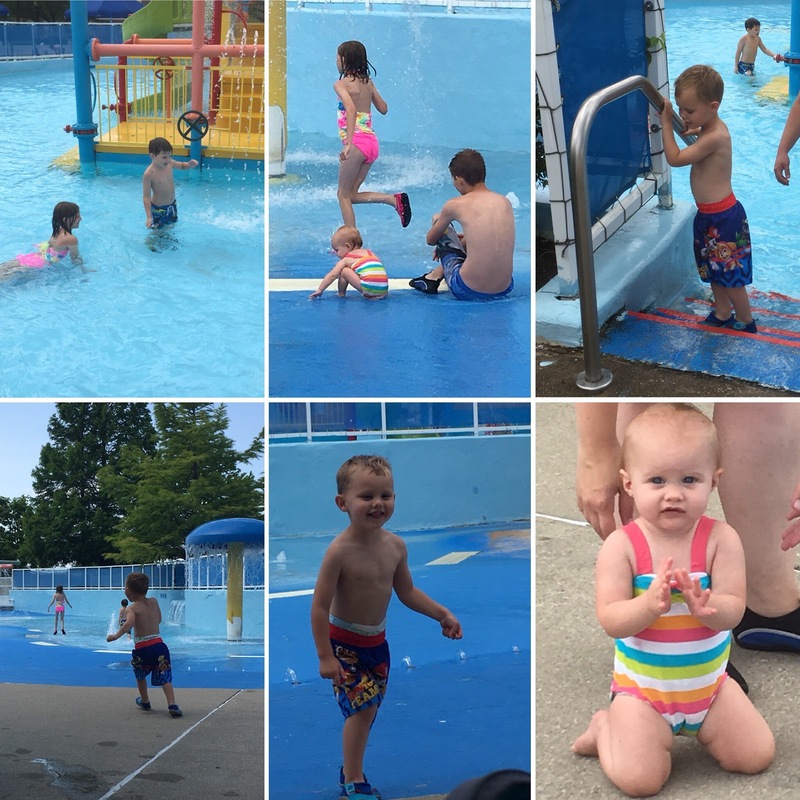 We recently took a family trip to Deep River Waterpark. I have hosted giveaways for them in the past and written about the park - most recently HERE - but finally we had the opportunity to go visit! So last Friday, my husband, kids, mother-in-law, and I all piled into our giant van and headed to Crown Point, up near Chicago. It was about a two and a half hour trip for us (closer to three probably with a stop or two) but it went by pretty quickly. It was an overcast day but still warm. The park seemed busy but didn't feel crowded at all. There were TONS of seating options - chairs, picnic tables, chairs with umbrellas - and there wasn't really a wait for any of the rides. We loved being able to bring our own cooler so we could take breaks between playing for snacks and drinks. I quizzed the kids on their favorites! My 12 year old son said his favorite thing was the Sidewinder Body Slide. He (and my husband) also did the Pipeline Express but didn't like that one as much. My 9 year old daughter said her favorite was the Rip Tide Wave Pool - it alternated between waves and calm so everyone got a little splashing time in there. My 5 and 3 year old sons said their favorite was Paddles Playzone, which had slides and splash zones just their size. 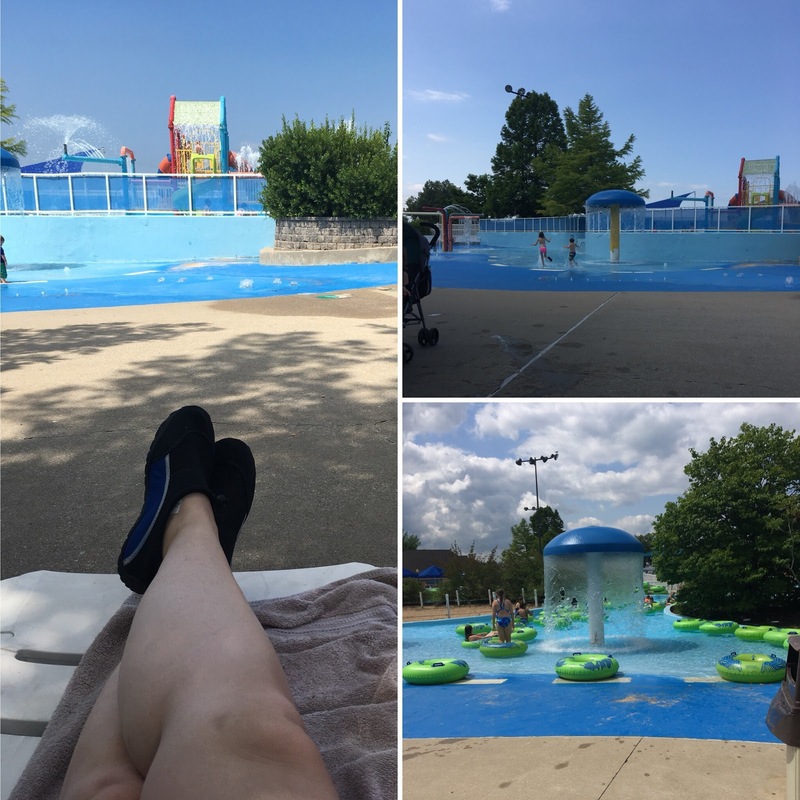 I loved that they had something for every age group - even our littlest girls (ages 2 and 1) could splash and crawl in the PlayZone and the edge of the Wave Pool. The Bayou River Ride (a lazy river) was probably my favorite. Upon leaving the park we realized there was a whole other section we hadn't even visited (GASP!) so we decided we'll have to make another visit sometime and when we do, that will be my Part Two!